You know how they say to sing "Happy Birthday" three times while washing your hands, and you'll know that you washed them long enough? Well that applies to making this dip too... sing the happy song three times and when you are done, the dip will be ready. That is how quick and easy this dip is. Seriously. Every time anyone asks for something they can prepare quickly for unexpected guests or a last minute get together, this is what I will tell them to make. Or even if you have a ton of time to get things ready, throw this one on the list as your easy app. Heck, even the kids could make this one for you. 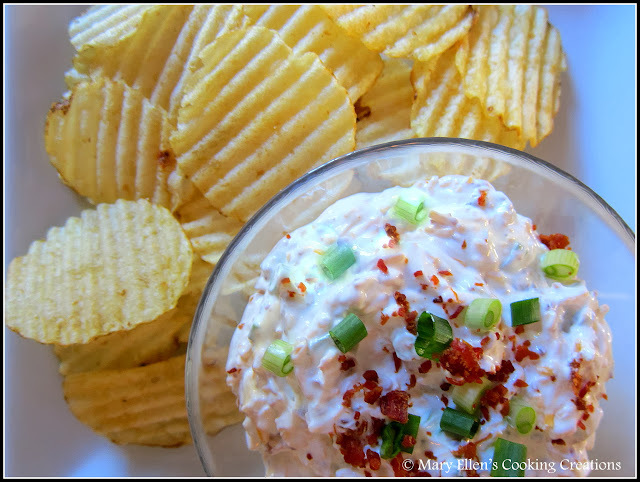 And with the Super Bowl coming up, I highly recommend you buy the ingredients for this dip and make it. Oh, and it's so good that you might want to double the recipe! The original recipe called for real bacon, and while I'm sure that's great, it would have added some time and mess to the prep so I went with real bacon bits. Not Bac-Os or other bacon flavored bits of who knows what, but a bottle of real bacon bits. For a dip they are just fine and even better, they don't get all soggy after sitting in the dip for a day or two, that is if you have any left over. 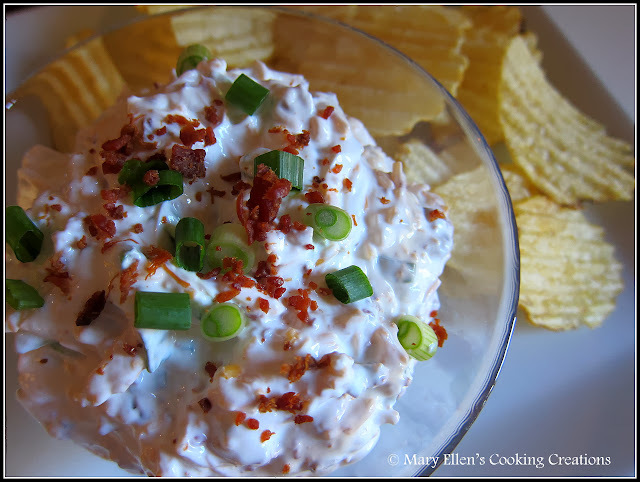 Mix the sour cream, most of the bacon bits, all of the cheese, salt, pepper, garlic powder, onion powder and most of the green onions (taste and adjust spices as needed). Chill for a few hours.